Simple Country Living. 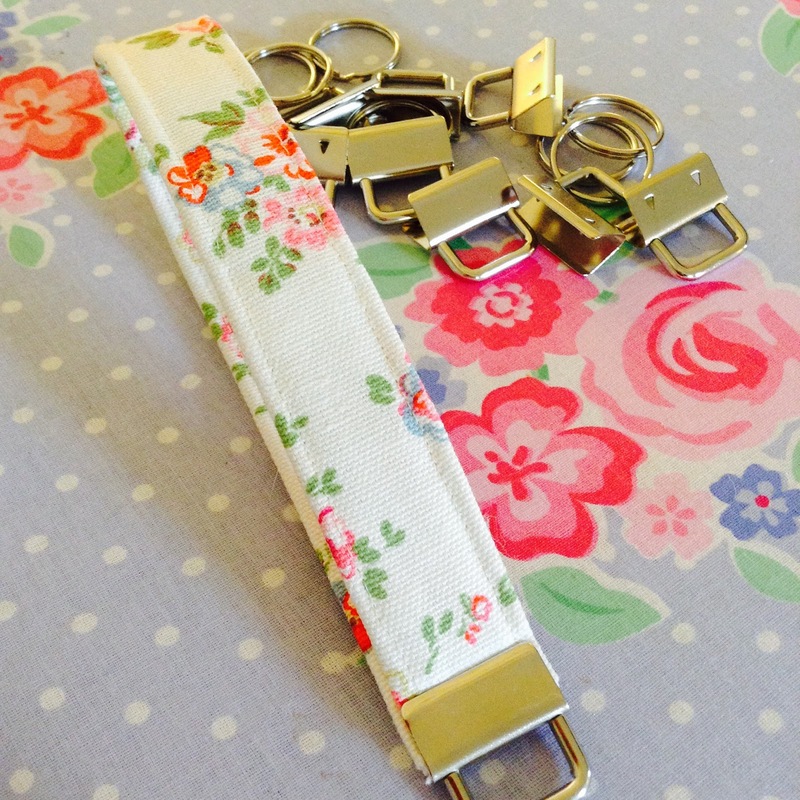 : Fabric Key Fob. This is what they look like. Little clamp-like things with two teeth that stick into the fabric. I eventually managed to track some down from a wonderful lady on Etsy and when they arrived yesterday, I was itching to get on with making one, as a prototype, to see how sturdy they are. They're easy to make, just a strip of thin wadding sandwiched between two pieces of fabric and a key fob thingy ..... sorry, I still don't know what they are called. 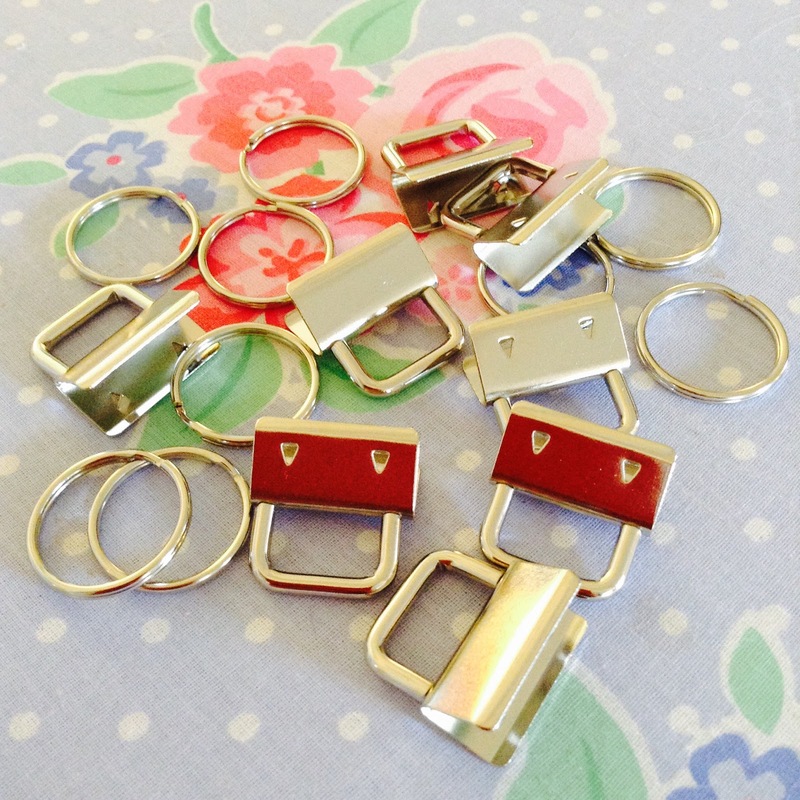 I just searched for key fob hardware and picked the one that closest resembled the ones I saw on the ones on the internet. Anyway, this is my prototype key fob. I think they're lovely. What do you think?? Does anyone have any tips for closing the little key fob clasps securely? No idea what it's called either, but the whole thingy is sure pretty.